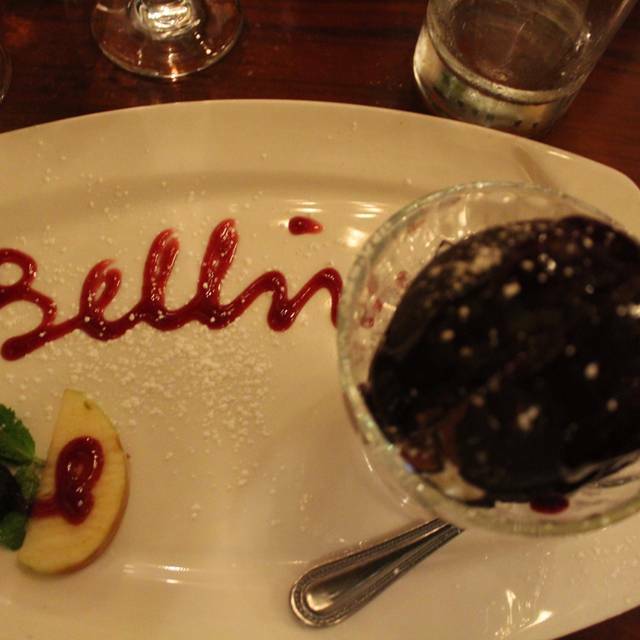 You must make reservations at least 5 minutes in advance of the time at Bellini Grill. Discount Parking for only $10.00 with our validation- stamp near by at LAZ - Parking Garage, 1617 Chancellor Street. Visit www.bellinigrill.com for directions. SEPTA 15th and Market St. or PATCO at 16th and Locust St.
Classical- Italian Music, classical opera , Contemporary- Classical- Jazz . Watercolor- music, and your choice. BIRTH DAYS , REHEARSAL DINNER , BUSINESS MEETINGS, SHOWERS, AND ANY SPECIAL EVENT FOR THE YOU OCCASIONS. Catering service available for large groups with advanced notice. Come experience a slice of Italy. Enjoy dining in a warmly lit dining area surrounded by beautifully hand painted Italian murals bringing you closer to the Italian culture. 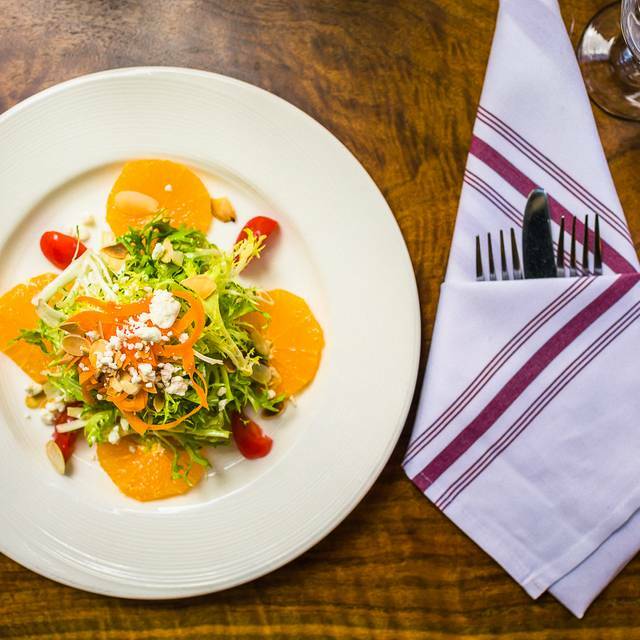 Bellini's is located in the middle of Center City, an ideal location to enjoy a wonderful dining experience. "You are cordially invited to join us for an afternoon or evening of relaxed elegance and exceptional cuisine"
"Some of the most inspired and acclaimed Italian food in the country is served here , with innovative flavors and artful presentations making the most of all that is dintinglisht Italian , prepared by Italian born Francesco Parmisciano".
" Our goal is not only to prepare authentic and delicious dishes but also to pair them with the appropriate wine of your preference". Our wine selections originates from the most famous winemaking regions from all over the world . Complimentary Bellini Cocktail with full Dinner Purchase, from 4:00-6:00 pm . -Monte Carlo, 2- Ginger whisky, Benedictine, and a dash of Angostura bitter served on the rocks. 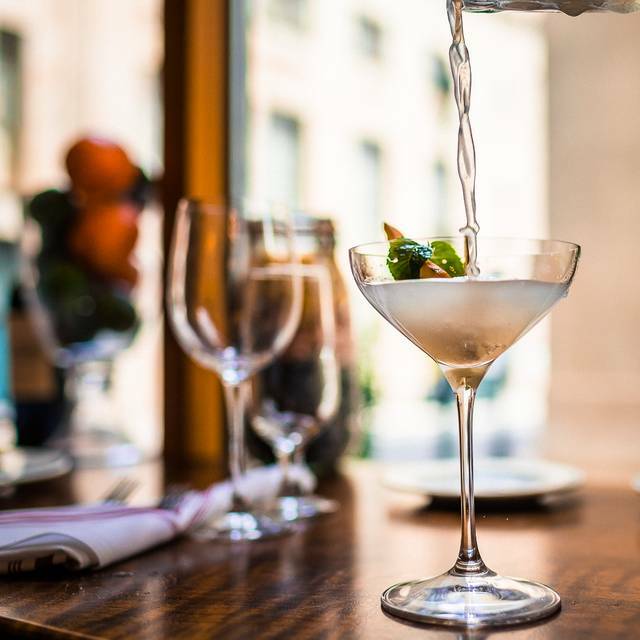 -La Primavera , Chilled Cucumber vodka and elderflower liqueur topped with prosecco. 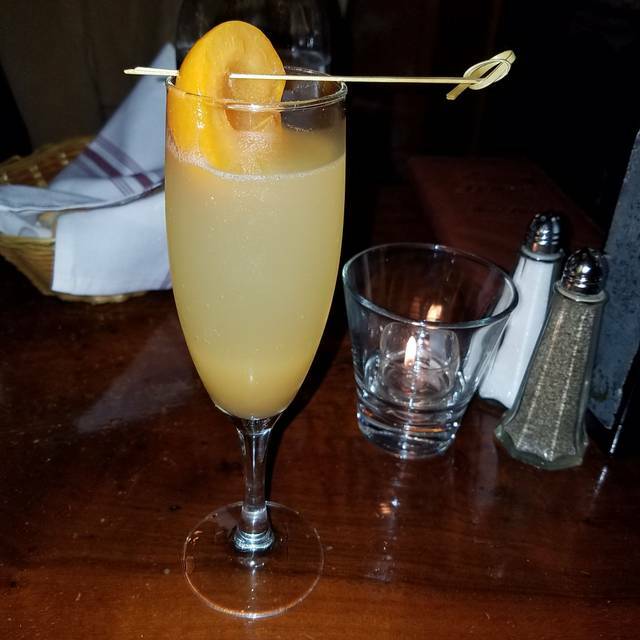 -Bellini Cocktail, Peach pure and prosecco. -Orange Martini , Orange vodka, triple sec, dry vermouth , angostura bitter. 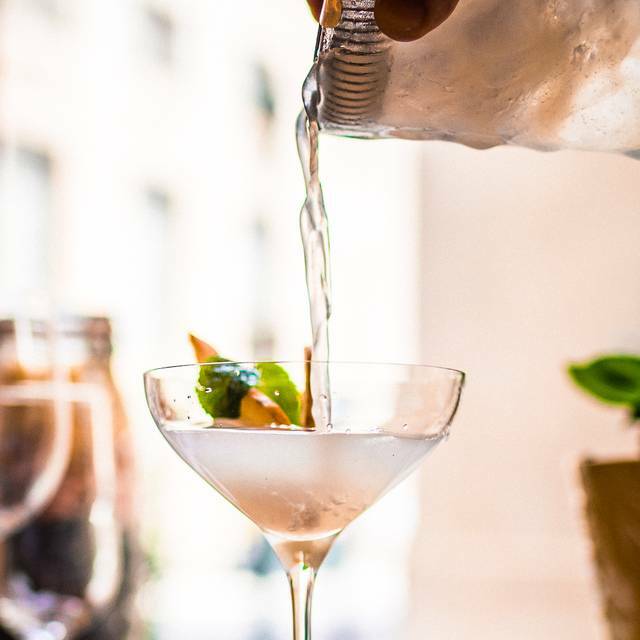 Prepared by Italian born Francesco Parmisciano, Bellini Serves Inspired Italian food with innovative flavors and artful presentation , making the most of all that is distinctly Italian. Join as at Bellini 3-9:00 pm.for the Complimentary Desserts . Prepared by Italian born Francesco Parmisciano , Bellini Grill serves inspired Italian food with Innovative flavors and artful presentation , making the most of all that is distinctly Italian. Complimentary home- made Dessert for All Mothers Dinning at Bellini , Sunday May 12,2019 non to 9:00 pm. We were four. Two had the pasta special and liked it. 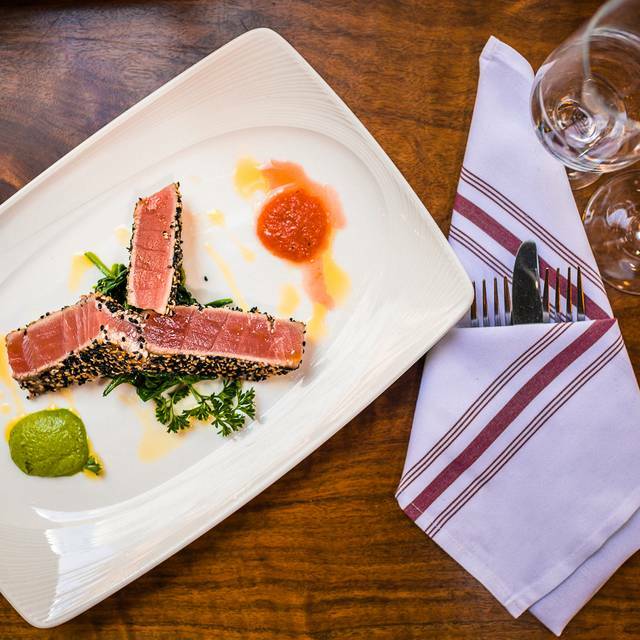 One had the tuna -- replacing the Pacific halibut special which was no longer available. He said tuna tasted not fresh and, unusually, he left some on his plate. The crab ravioli also didn't taste fresh. We've really enjoyed previous visits and would have given the food four or five stars then. Maybe we just hit it on a bad day. Energetic Italian restaurant and service & food were very good. Good place for pre-theatre/pre-concert, location is great, but this is not a quiet environment. Food very nicely prepared and tasted fresh. Nice wine selection which was surprisingly affordable. Well be back! Great food at reasonable prices at a location close to venues on Broad Street. I was disappointed in how loud it was. I couldn't hear the person next to me. Celebrated my husbands 36th birthday. Waiter was knowledgeable and gave great suggestions. Very fun atmosphere for whole family. It was lively and food and service was amazing. Would definitely come back another time. Outstanding service & excellent food! The service was great and the food was outstanding. The price is very reasonable for authentic Italian food. The food was all amazing. Our server Michael was excellent. He had great food/drink suggestions and was very humorous and personable. We almost always come here on visits to Philadelphia. In prior years it was a BYOB. Bar is an added attraction. Veal dishes are sauced beautifully. Good wine by glass selection. Ambiance is nice. Service outstanding. Food very good. Michael was a great server. our food was terrific. This was our 2nd opportunity to have dinner there and highly recommend this establishment. Again, outstanding in every category. Food, service, ambiance. Just top notch. We have been patrons since Jimmy opened and keep returning for the great food and friendly ambiance. The grilled calmari (appetizer) is the standard by which we measure all others. Friendly service, good food. Nothing spectacular. The balsamic was a hit. A bit of pasta with the veal would have been nice. Excellent service, attentive staff and very good food. Dinner was wonderful. All our meals were delicious. Our server Alex was helpful with the dinner choices and was very attentive. Bar dinner service was great. Pea soup was very good. Pollo Bellini was outstanding. Wonderful experience! Second dinner at BG in a month. Staff greeted us like old friends. 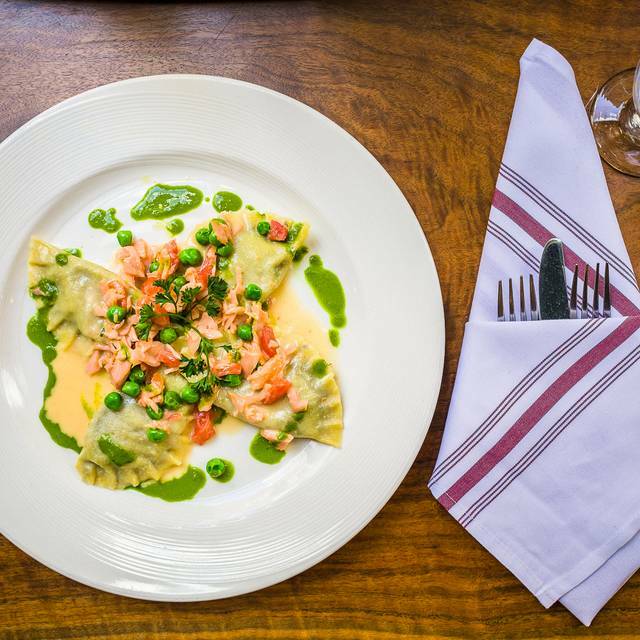 The menu offers a nice variety of choices for all course and the specials - house-made fish ravioli, baked fish, and lamb shanks on risotto or polenta- added to the options nicely. The execution in the kitchen was excellent. Wine list by the glass is also varied. We will return. Great restaurant. I will go back more often. Great food and great hospitality. The atmosphere is very warm. 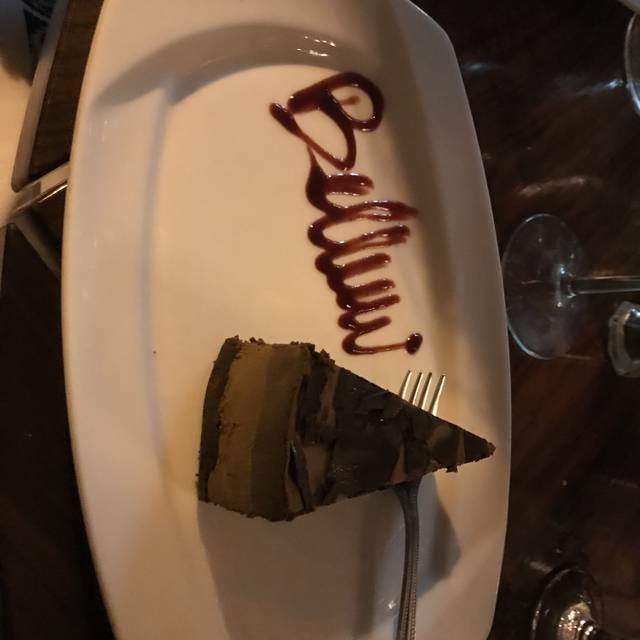 Bellini Grill is my new favorite Italian restaurant. I've been twice and everything was scrumptious. The homemade papardelle and the Chilean sea bass were both home runs. Service is impeccable. It's the old-school approach of reading your mind and anticipating your needs rather than chatting you up with mindless blather. And the prices are better than other comparable high-end spots, such as Davio's. Highly recommended! What a great find. At the last minute, we found Bellini on yelp and decided to give it a try. Small, intimate with a fantastic staff and incredible food. If you are in Philly, try it. But leave room for us. We will be back. Wonderful authentic Italian restaurant! ! Best pasta I have ever had. Our waiter Mike was the best. He made sure everything was perfect and made our experience enjoyable. Compliment's to the chef!! We will definitely be back soon!! Excellent food, service and atmosphere. Always a great experience! As always the food and service is top notch! But the table for two left a little to be desired as it was cramped and in the worst location, sandwiched between the bar and the main aisle. I would’ve expected a better seat especially going through the reservation process. But the food was fantastic as was the service and we will definitely return! I have been here several times before but after this experience I will not be running back. My friend ordered a pasta dish with lump crap meat. If Bellini thinks a few flakes of crab here and there are acceptable they should be ashamed. I ordered a special and it was just mediocre. The waiter also wasn’t the quality you would expect in this restaurant. We had a great dinner. Service was very attentive and food was excellent. Staff made us feel special from initial greeting and coat check, seating, and through the very attentive service we received. Bread plates continually filled, butter? No problem. This was a very full Saturday evening. My sea bass was moist and perfectly cooked and topped with an interesting fennel and apple purée. Side was the best and most perfect asparagus I ever had. Arugula salad was great. The others loved their calamari and veal parm. Good coffee. Another fine meal here. DELICIOUS FOOD!! Thank you! The service was nice, the atmosphere so beautiful! We went for a Valentine's date and the table was cozy! Our dinners were amazing! While the service was good, the food was very average. Americanized Italian, I would not call it really authentic. We opted out of dessert after mediocre appetizers and main dishes, we thought it was not worth it to add extra calories. It was fine, just not really great. We would not return. Chicken parm barely had cheese, what Italian place doesn't pass out bread? All around great place. Can't wait to go back! I was very let down by the food. The saltimbocca came out smothered in soggy spinach. The pasta was undercooked and the dessert portion was incredibly small and sloppy. I had high hopes for the restaurant but the only bright spot was the service. 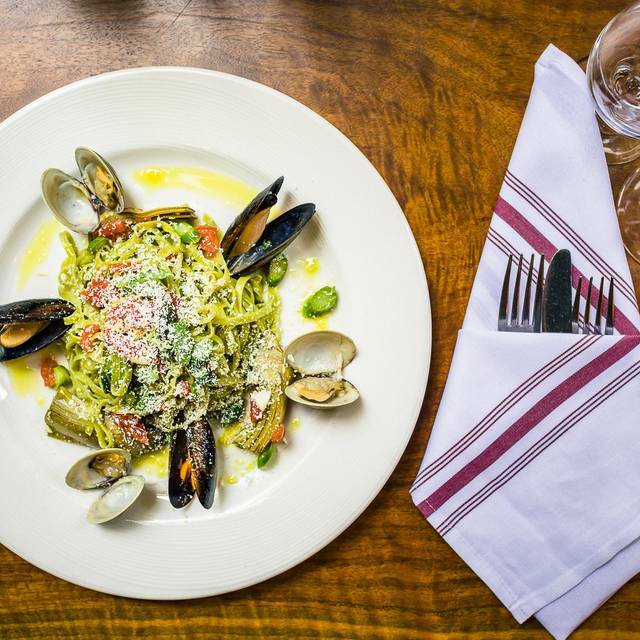 Great Italian restaurant, close to thr Kimmel Center and other performance centers such as the Acadamy of Music Make a reservation since it is very busy on weekends. The staff was very scattered. They seemed disorganized, rude, and unprofessional. We even saw a bug crawl up the wall and they brushed off the situation just saying they were sorry but that there was construction next door. The young man who sat us was very rude and did not seem like he wanted to be there. The food was pretty decent, but nothing to write home about. Regardless, I don't think I'd come again for a little bit. The food was very good, however, it wasn't exceptional. I would certainly go back again. I called an hour before my reservation to ask them if they could still serve us a half hour later (6:30 instead of 6). (So I called at 5.) The host said yes, but didn’t ask my name or anything, which I should have known right there was a bad sign. When we arrived at 6:30 the host acted as if I was an hour late and my table was gone. He said, “yea, you called at 5 to reschedule your Res. For a half hour later.” I said, “a half hour later than my res. Which was at 6 - so 6:30. I didn’t call to make my res. Earlier.” He looked confused. Finally, he said, wait here, so we did. Meanwhile, there was a four-top empty the entire half hour that he made us wait. At 7, we got sat at a table that just got cleared. And the empty four-top was still empty. We had to rush through our meal and skip dessert because we had a show to get to at 8. The food was good. My seafood linguini was excellent.